What do you get when you have the end of the academic year, food, inflatables, carnival games, and a special comedy/stunt show? WOU MANIA!!!!! 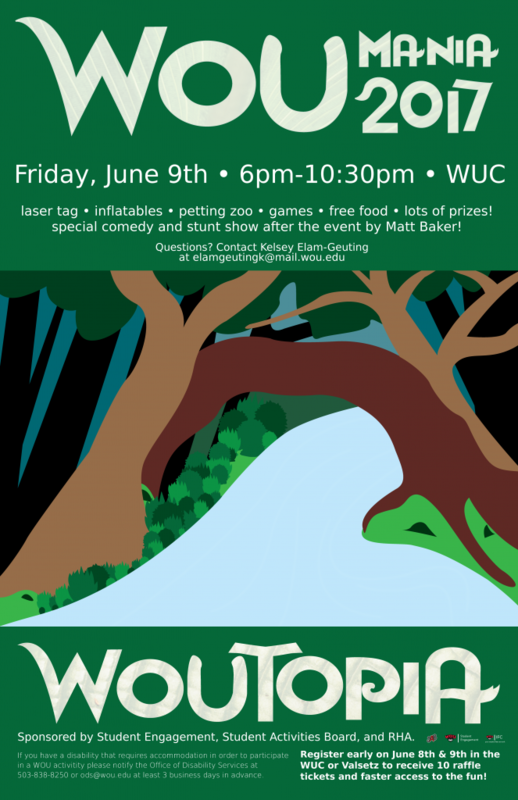 Stretching back to 2004, WOU Mania stands as one of Western Oregon University’s most popular series of free events and an event that looks to bring inflatables, carnival style games, food, and Western Oregon fun!